America's premier biographer for young people illuminates the remarkable life and far-reaching influence of the famous Chinese philosopher. Born in China in 551 B. C., Confucius rose from poverty to the heights of his country's ruling class. But then he quit his high post for the life of an itinerant philosopher. "The Analects" collects his teachings on education and government, the definition of nobility, the equality of man and the right way and purpose of living, ideas that eventually spread to the West and influenced the great thinkers of the Enlightenment. 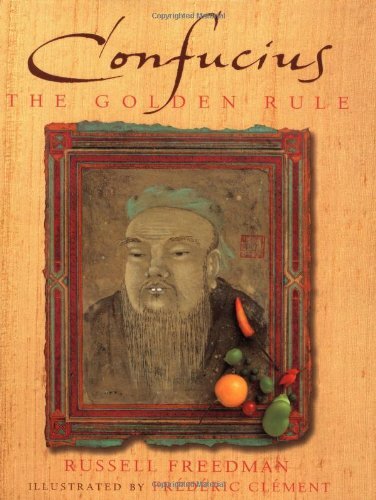 And five centuries before Christ, Confucius set forth his own Golden Rule: "Do not impose on others what you do not wish for yourself."